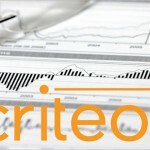 Criteo S.A. (NASDAQ: CRTO), the performance marketing technology company, today announced financial results for the second quarter ended June 30, 2016. Revenue increased 36% (or 35% at constant currency1) to $407 million. Revenue excluding Traffic Acquisition Costs, or Revenue ex-TAC, grew 36% (or 35% at constant currency) to $166 million, or 40.8% of revenue. Net Income increased 240% to $13 million. Adjusted EBITDA grew 66% (or 61% at constant currency) to $39 million, representing 9.6% of revenue and 23.6% of Revenue ex-TAC. Adjusted Net Income per diluted share grew 106% to $0.33. “Our performance marketing platform best positions us to offer advertisers the relevant, accountable and seamless marketing across all environments they are demanding,” said Eric Eichmann, CEO. We added over 900 net clients in the second quarter, a new record in the history of Criteo, approaching 12,000 clients. 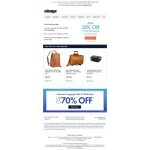 Over 50% of our business was generated on mobile ads in the second quarter. We went live on Instagram in June, adding a new source of social inventory for advertisers. Many advertisers are now live on Instagram. Users matched through our Universal Match solution generated 47% of Revenue ex-TAC in the second quarter, reflecting the growing adoption of our solution and the high value of matched users. Existing clients in Q2 2015 generated 14% more Revenue ex-TAC at constant currency in Q2 2016, in line with expectations and demonstrating our ability to expand revenues within our client base. Revenue ex-TAC grew 36%, or 35% at constant currency, to $166 million (Q2 2015: $122 million). This increase was primarily driven by new technology innovation across all devices and platforms, the addition of a new record quarterly number of clients across regions and the continued expansion of our publisher relationships. In the Americas region, Revenue ex-TAC grew 36%, or 38% at constant currency, to $60 million (Q2 2015: $44 million) and represented 36% of total Revenue ex-TAC. In the EMEA region, Revenue ex-TAC grew 25%, or 25% at constant currency, to $67 million (Q2 2015: $54 million) and represented 40% of total Revenue ex-TAC. In the Asia-Pacific region, Revenue ex-TAC grew 61%, or 50% at constant currency, to $39 million (Q2 2015: $24 million) and represented 24% of total Revenue ex-TAC. Revenue ex-TAC margin as a percentage of revenue was 40.8% (Q2 2015: 40.8%), in line with prior quarters. Adjusted EBITDA grew 66%, or 61% at constant currency, to $39 million (Q2 2015: $24 million). This increase in Adjusted EBITDA is primarily the result of the strong Revenue ex-TAC performance in the quarter. Adjusted EBITDA margin as a percentage of revenue improved 170 basis points to 9.6% (Q2 2015: 7.9%) and 420 basis points as a percentage of Revenue ex-TAC to 23.6% (Q2 2015: 19.4%). This margin improvement, while we continue to invest in R&D and innovation, demonstrates the scalability and operating leverage of our model. Operating expenses increased 28% to $128 million (Q2 2015: $100 million). Operating expenses, excluding the impact of equity awards compensation expense, pension service costs, depreciation and amortization, acquisition-related costs and deferred price consideration, which we refer to as Non-GAAP Operating Expenses, increased 27% to $116 million (Q2 2015: $91 million). This increase is primarily related to the year-over-year growth in headcount in Research and Development (46%), Sales and Operations (21%) and General and Administrative (28%), as we continued to scale the entire organization. Non-GAAP Operating Expenses as a percentage of revenue decreased by 190 basis points to 28.5% (Q2 2015: 30.4%) and by 480 basis points as a percentage of Revenue ex-TAC to 69.8% (Q2 2015: 74.5%). Net income increased 240% to $13 million (Q2 2015: $4 million). Net income available to shareholders of Criteo S.A. was $12 million, or $0.19 per share on a diluted basis (Q2 2015: $4 million, or $0.05 per share on a diluted basis). Adjusted Net income, defined as our net income adjusted to eliminate the impact of equity awards compensation expense, amortization of acquisition-related intangible assets, acquisition-related costs and deferred price consideration and the tax impact of these adjustments, increased 106% to $22 million, or $0.33 per share on a diluted basis (Q2 2015: $11 million, or $0.16 per share on a diluted basis). Cash flow from operating activities increased 61% to $19 million (Q2 2015: $12 million). Free Cash Flow, defined as cash flow from operating activities less acquisition of intangible assets, property, plant and equipment and net of proceeds from disposal, was $(3) million (Q2 2015: $(6) million), improving by 51% year-over-year. Total cash and cash equivalents were $377 million as of June 30, 2016 (December 31, 2015: $354 million). The following forward-looking statements reflect Criteo’s expectations as of August 3, 2016. We expect Revenue ex-TAC to be between $170 million and $174 million. We expect Adjusted EBITDA to be between $42 million and $46 million. We expect Revenue ex-TAC growth to be between 30% and 34% at constant currency. We expect our Adjusted EBITDA margin as a percentage of revenue to increase between 60 basis points and 100 basis points. The above guidance for the third quarter 2016 assumes the following exchange rates for the main currencies having an impact on our business: a U.S. dollar-euro rate of 0.90, a U.S. dollar-Japanese Yen of 110, a U.S. dollar-British pound rate of 0.72 and a U.S. dollar-Brazilian real rate of 3.60. The above guidance assumes no acquisitions are completed during the third quarter ending September 30, 2016 and the fiscal year ending December 31, 2016. This press release and its attachments include the following financial measures defined as non-GAAP financial measures by the U.S. Securities and Exchange Commission (the “SEC”): Revenue ex-TAC, Revenue ex-TAC by Region, Revenue ex-TAC margin, Adjusted EBITDA, Adjusted EBITDA margin, Adjusted Net Income, Adjusted Net Income per diluted share, Free Cash Flow, and Non-GAAP Operating Expenses. These measures are not calculated in accordance with accounting principles generally accepted in the United States of America (“U.S. GAAP”). Adjusted EBITDA is our consolidated earnings before financial income (expense), income taxes, depreciation and amortization, adjusted to eliminate the impact of equity awards compensation expense, pension service costs, acquisition-related costs and deferred price consideration. Adjusted EBITDA is a key measure used by our management and board of directors to understand and evaluate our core operating performance and trends, to prepare and approve our annual budget and to develop short‑ and long-term operational plans. In particular, we believe that by eliminating equity awards compensation expense, service costs (pension), acquisition-related costs and deferred price consideration, Adjusted EBITDA can provide a useful measure for period-to-period comparisons of our core business. Accordingly, we believe that Adjusted EBITDA provides useful information to investors and the market generally in understanding and evaluating our results of operations in the same manner as our management and board of directors. With respect to our expectations under “Business Outlook” above, reconciliation of Revenue ex-TAC and Adjusted EBITDA guidance to the closest corresponding U.S. GAAP measure is not available without unreasonable efforts on a forward-looking basis due to the high variability, complexity and low visibility with respect to the charges excluded from these non-GAAP measures; in particular, the measures and effects of equity awards compensation expense specific to equity compensation awards that are directly impacted by unpredictable fluctuations in our share price. We expect the variability of the above charges to have a significant, and potentially unpredictable, impact on our future U.S. GAAP financial results. This press release contains forward-looking statements, including projected financial results for the quarter ending September 30, 2016 and the fiscal year ending December 31, 2016, our expectations regarding our market opportunity and future growth prospects and other statements that are not historical facts and involve risks and uncertainties that could cause actual results to differ materially. Factors that might cause or contribute to such differences include, but are not limited to: recent growth rates not being indicative of future growth, uncertainty regarding legislative, regulatory or self-regulatory developments regarding data privacy matters, uncertainty regarding our ability to access a consistent supply of internet display advertising inventory and expand access to such inventory, the investments in new business opportunities and the timing of these investments, the impact of competition, our ability to manage growth, potential fluctuations in operating results, our ability to grow our base of clients, uncertainty regarding international growth and expansion, and the financial impact of maximizing Revenue ex-TAC, as well as risks related to future opportunities and plans, including the uncertainty of expected future financial performance and results and those risks detailed from time-to-time under the caption “Risk Factors” and elsewhere in the Company’s SEC filings and reports, including the Company’s Annual Report on Form 10-K filed with the SEC on February 29, 2016, as well as future filings and reports by the Company. Except as required by law, the Company undertakes no duty or obligation to update any forward-looking statements contained in this release as a result of new information, future events, changes in expectations or otherwise. Criteo’s earnings conference call will take place today, August 3, 2016, at 8:00 AM ET, 2:00 PM CET. The conference call will be webcast live on the Company’s website http://ir.criteo.com and will be available for replay.